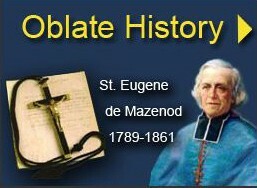 What is an Oblate Life? 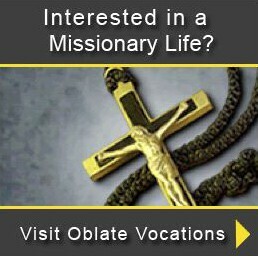 How Do I Know If God Is Calling Me to Be An Oblate? 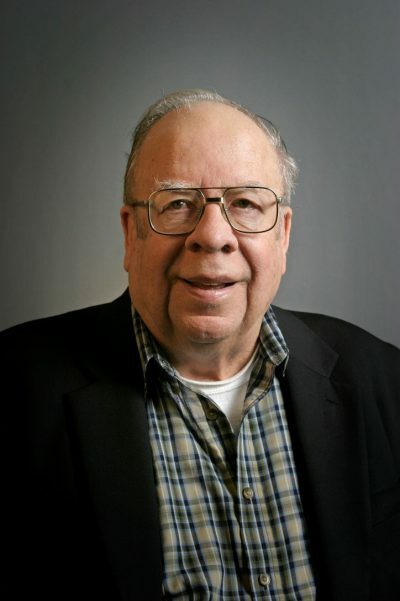 Brother Bill Lundberg, O.M.I. has been a survivor since day one. Brother Bill was born premature in 1938. He weighed only three pounds and doctors didn’t expect him to live. A nun at the hospital even performed a quick Baptism ceremony for the infant. But Baby Bill was a survivor. Days in the hospital became weeks, and weeks became months. Eventually he was big enough and healthy enough to go home. Home for young Bill was Richfield, Minnesota, outside of Minneapolis. He spent much of his childhood attending a parish run by the Missionary Oblates. The Oblates and his family instilled a strong faith in Bro. Bill. After a few years serving in the Navy and Reserves, Bro. Bill joined the Oblates and took vows as an Oblate Brother in 1963. 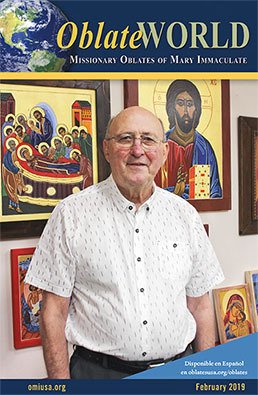 Brother Bill’s early ministries included serving as a staff member at King’s House of Retreats in Henry, Illinois; a member of the parish team at Holy Cross Parish in Orr, Minnesota; and he was part of the hospitality staff at the National Shrine of Our Lady of the Snows in Belleville, Illinois. In 1973 he accepted responsibility of being the Assistant Director of Blandine House in Fond du Lac, Wisconsin. At the time Blandine House was a new residential program providing counseling for men who were recovering for alcohol and drug dependency. Brother Bill and another Oblate created many of the recovery programs at Blandine House which still exist today. In 1979 Bro. 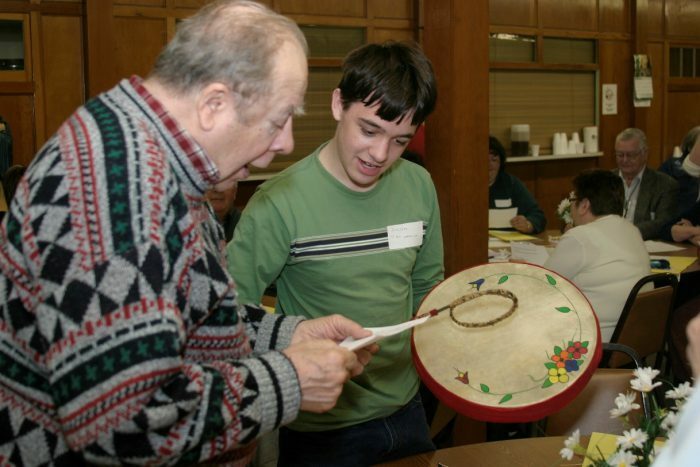 Bill accepted an assignment to work in the Oblates’ Native American ministries. He would spend nearly 23 years ministering to Native Americans on reservations in South Dakota and Minnesota. Brother Bill worked in a variety of parish ministries including helping adults and youth discover their faith through R.C.I.A. and P.S.R. programs. 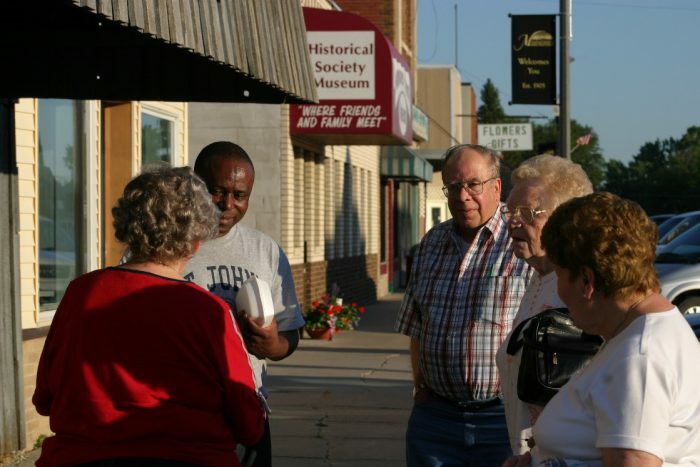 He also worked as a bursar at the Tekakwitha Children’s Home and was responsible for a variety of outreach programs including director of a local food pantry. During his time in South Dakota and northern Minnesota, Bro. Bill was again a survivor – of the brutal winters. It was not unusual for the temperature to dip to 30 below zero. One day the temperature dropped to 52 degrees below zero, and Bro. Bill proudly notes that he still got out and went to work. In 2012 Bro. Bill moved into St. Henry’s Oblate Residence in Belleville, Illinois, a community for elder Oblates. In 2016 he suffered a major heart attack and wasn’t expected to survive. He again proved the doctors wrong. Today Bro. Bill lives at the St. Francis Assisted Living Center located on the grounds of the Shrine of Our Lady of the Snows. More than 50 years ago, Bro. Bill started his hospitality ministry at the Shrine, and today he is ministering through hospitality to residents at the St. Francis Center. “I guess you can say I’m still doing my ‘snow job’ after all these years,” joked Bro. Bill. In Bro. Bill’s room at the St. Francis Center, the decorations are pretty sparse. There are a few family photos and artifacts from the Tekakwitha Indian Missions. Above his favorite chair is the item that he is most proud to display. It is a picture of him just a few days old, a little baby struggling to survive. Brother Bill Lundberg has been a survivor throughout his life, and because of that toughness he has blessed countless people through his compassionate heart and gentle soul.